TWO 17-YEAR-OLDS have been arrested after a man died last night shortly after being stabbed in east London. He is the 50th person to be killed in the city since the start of the year. 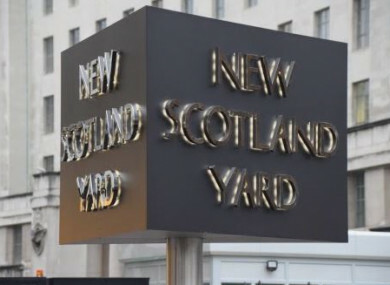 London Met Police said the man, aged 18, was found suffering from stab wounds in the Hackney area just before 8pm last night. He was given first aid but was pronounced dead at the scene about 25 minutes later. His next of kin has been informed and a post-mortem examination is due to take place. Two 17-year-olds were arrested on suspicion of murder late last night. Close by on the Upper Clapton Road earlier yesterday, police were called to a bookies after reports of a man found unconscious. Officers, along with the London Ambulance Service and London’s Air Ambulance attended the scene. Despite the efforts of medical staff, the man, aged 53, was pronounced dead at the scene. The victim is believed to have been involved in an altercation with another man who then left the scene. There have been no arrests in relation to this incident at this stage. Both incidents have been passed to homicide detectives. Met Police said that there is no evidence to suggest the murders are linked at this stage. “I completely understand how alarmed and worried the local community will be at hearing the news this morning and we are working closely with the Homicide and Major Crime Command to solve these murders,” Chief superintendent Sue Williams said. “In Hackney, we are working hard to prevent further violence and keep people safe. We have extra officers on the streets, both highly visible and in plain clothes carrying out a range of intelligence-led operations and patrols,” she said. The deaths take to 50 the number of people killed in London so far in 2018. They follow the fatal stabbing of a burglar by a pensioner yesterday and two fatal shootings on Monday. The pensioner was arrested on suspicion of grievous bodily harm and further arrested on suspicion of murder. A 16-year-old boy and a 17-year-old girl both died following the separate shooting incidents on Monday evening. Detective Inspector Beverley Kofi of the Homicide and Major Crime Command appealed to anybody who witnessed the shooting of the young girl – named as Tanesha Melbourne - or has information to come forward. Police and politicians are under pressure to stem a growth in violent crime in London, with the England capital’s murder rate having overtaken that of New York City. Anyone with information in relation to any of the murders is being asked to contact Met Police on 101, via Crimestoppers UK anonymously on 0800 555 111, or in an emergency by calling 999. Email “Two 17-year-olds arrested after 18-year-old man dies in 50th London murder of the year”. Feedback on “Two 17-year-olds arrested after 18-year-old man dies in 50th London murder of the year”.